This toolkit is designed to support N.C. Cooperative Extension agents as they work with food banks and pantries. What are food banks and pantries, and how are they different? Check out this document for background information about food banks/pantries, and this video for more information about food insecurity and the role of food banks/pantries. 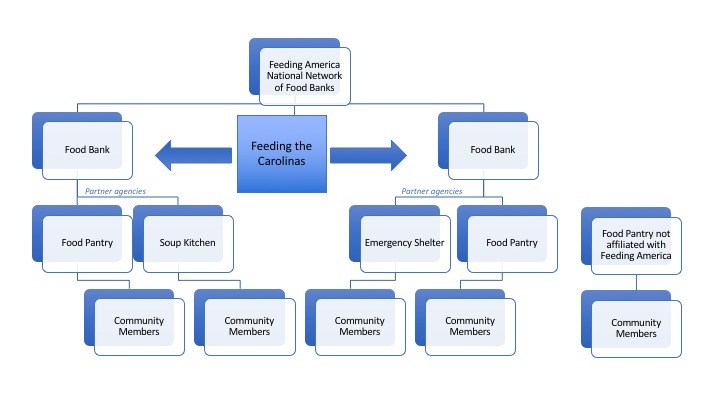 Feeding the Carolinas This website lists North Carolina’s seven regional food banks. These food banks serve community-based food pantries and soup kitchens, and can help determine how to best donate surplus food. How can agents make connections with food banks and pantries? Steps to Connecting with Food Pantries takes you step by step through the process of identifying local food pantry partners and implementing programming. If you have EFNEP in your county, please work with the Program Assistant, as they may already have established relationships with food pantries in your community. This video explains the benefits of donating produce for large-scale growers, including questions of liability, food safety, and tax credits. It also demonstrates the scale and efficiency of the food bank system. This site on NC State’s Food Safety Portal provides updated resources about working with food banks and pantries on issues of food safety. This includes issues of food distribution and transportation, hand washing, standard operating procedures, and recall protocol. FCS agents and volunteers can support food pantry clients so they know healthy ways to prepare the food that they receive. If you work with organizations that conduct food drives, please share this Healthy Food Drive Donation List. Classes: EFNEP’s Food Pantry Classes Guide is a resource guide that provides advice about conducting nutrition education classes at food pantries. Steps to Connecting with Food Pantries will walk you through the step by step process of building a relationship with food pantries and offering taste tests/cooking demonstrations. 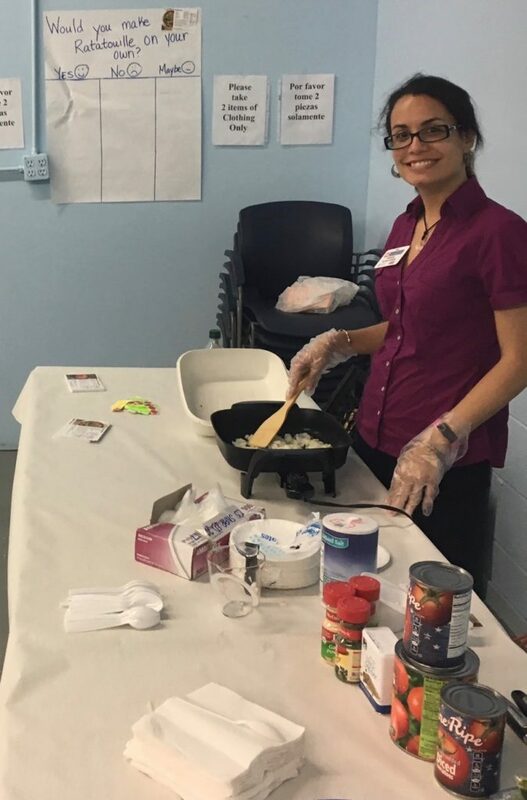 These Food Pantry Mini-Lessons were designed to guide FCS agents and Extension Master Food Volunteers as they prepare and deliver taste tests, including recipe suggestions and talking points. Mini-Lessons include: Cooking with Microwaves, Roasting, Stir Fry, Dressings and Marinades, Freezing, Adapting Recipes, Knife Skills, Using Ripe Fruits & Vegetables, Eating with the Seasons, Spices and Seasonings, Storage & Shelf Life, and Cooking with Venison. Recipe Cards: It is important to choose recipes that not only highlight the products that food pantries are distributing, but which also are sensitive to the budgetary constraints faced by food pantry clients. We have received permission to distribute recipe cards developed by the Greater Community Food Bank of Pittsburgh. These cards are designed for low-income audiences, and are very visual for those who may have low literacy levels. Please use this Google Form to request recipe cards (restricted to NC Cooperative Extension employees). NCCE’s Farmers Market Recipe Cards also use EFNEP and Mixing Bowl recipes, and are therefore a good option for food pantry clients. Other Recipe Sources: EFNEP recipes are a great resource, as is the USDA’s Mixing Bowl. Cook Smart, Eat Smart and Med Instead of Meds also have good recipes. Steps to Health also has Harvest of the Month handouts that highlight seasonal items and recipes. 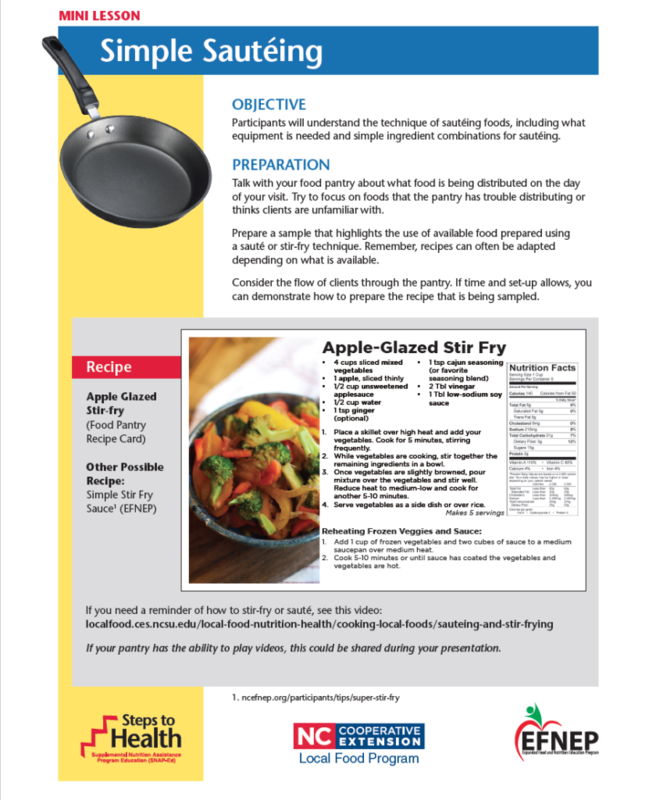 If you are interested in using a recipe that is not currently available as a printed recipe card, you can use Steps to Health’s Bits and Bites template. 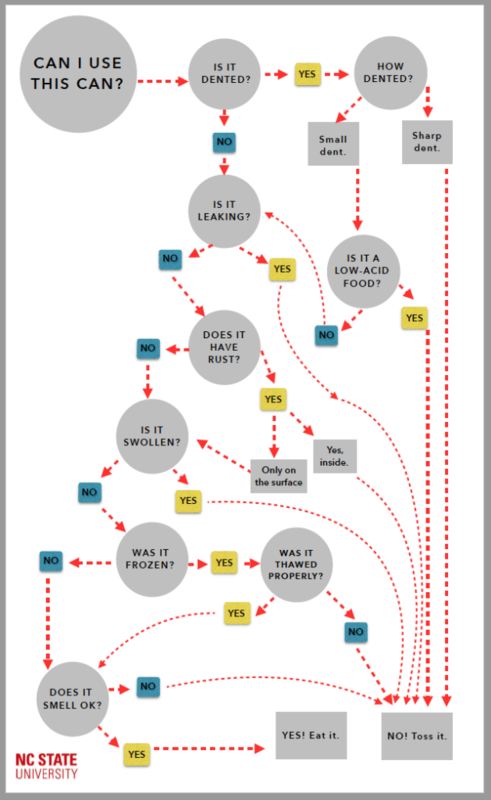 Use this Extension Recipe Guidance to assess any recipes your find online. How can we work with food pantries to make the healthy choice the easy choice? There are many resources to help you work with a food pantry to think about how it is set up, signage, and procedures to help encourage healthy choices as well as the dignity of food pantry clients. Nudges: Located on the Healthy Food Bank Hub portal, this video and resource page can be used to help food banks and pantries determine how to set up and promote healthy food in order to increase its utilization. Safe and Health Food Pantry Project University of Wisconsin Extension has developed this resource to help food pantries assess their facilities and policies in order to create action plans that improve food offerings. Healthy Food Pantry Assessment Toolkit was developed by the Regional Nutrition Education and Obesity Prevention Centers of Excellence- Western Region at Colorado State University. This tool gives food pantries a score depending on how they match with a list of best practices for a healthy pantry environment, and then provides resources to support improving their score. The website includes a recorded training presentation, instruction manual, and matched resource guide of best practice strategies will be available. NC State Steps to Health wants to support you in facilitating policy, system and environmental changes at food pantries. This process involves collecting baseline assessment data and assisting the pantry in creating a plan of action to implement strategies for creating a healthier environment. For more information about receiving Steps to Health PSE support, contact Elizabeth Gerndt at emgerndt@ncsu.edu. Dot Surveys: Dot surveys are a way to get a quick snapshot of participants’ reactions to the recipe. For example, you can take a piece of flip chart paper, divide it in three sections, with headings such as “Loved it”/ “Liked i t”/ “Maybe next time” and then provide participants with stickers to place in the category that best describes how they felt about the recipe they tried. This will help you get a count of how many people you reached, as well as how many people had a positive reaction to the recipe you used. Consider also having a category that assesses people’s interest in making the recipe at home. Pounds Donated: If you work with a local farmer or gardener to donate local food, please be aware that one of the local food indicators in the Extension Reporting System (ERS) asks about the number of pounds of food donated for vulnerable populations, so keep track of how many pounds are donated so you can report them.